When the “Cheap” Dumpster Rentals are actually not “Cheap” at All! Perhaps the most efficient way to order a dumpster is to “Google it”, as they say. Just put in a few “keywords”, and a huge list of candidates to serve your needs pops up! 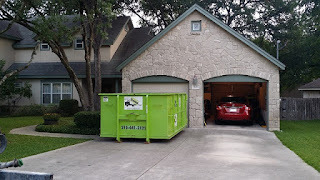 In the case of Dumpsters for San Antonio, you might choose a few words like San Antonio Dumpster Rental, or Dumpster Rental San Antonio. It may seem logical to type-in Cheap Dumpster Rental, Cheap Dumpster or Dumpster Rental Cheap. However, with the keyword “cheap” you may be getting less than you bargained for. To really examine what it means to be selectively “cheap”, we should look at what goes into renting a dumpster. The correctly-sized dumpster for your project first needs to be determined. A dumpster too large is clearly a waste of money, or a dumpster too small may require another one later, resulting in you paying for another dumpster. While it may be tempting to simply pick the largest dumpster, be sure that a larger dumpster can fit in your driveway or space where you require it. A factor to consider is whether the risk exists for driveway damage which would be costly. Very few companies actually provide driveway protection with their dumpsters, so be sure to ask for that, as it could be very costly should the driveway become cracked, scraped or even dented (hot asphalt will dent). Bin There Dump That provides driveway protection boards with every Bin. Most of the dumpster providers do not pick up your phone call or return your call right away, maybe needing a few days before they can put you on schedule for delivery. Not having dumpsters available to serve or not delivering the bin on time, or picking it up on time if they do have available inventory. Where ordering With Bin There Dump That we offer same day service if before 12pm or within the next 24 hours to service you. Sometimes you are actually charged more due to hidden fees. Some fees not so hidden but costly like, having to fix the driveway because it was damaged by your dumpster, or the project was delayed 1 day which caused you to have to pay for labor and use vacation because the BIN wasn’t delivered on time. All these issues can cause you to go over budget. At Bin There Dump That, we pride ourselves in taking care of our customers and the community. You can call in and often times will catch the CEO of BTDT working alongside her skilled team assisting customers who have attempted to use other providers which ultimately drove them to BTDT. If you are looking for a local company that will bring that Neighborhood trust back into business, please give us a call. We will gladly help in any way we can. Remember seeking only “cheap” as the criteria can actually become most expensive!